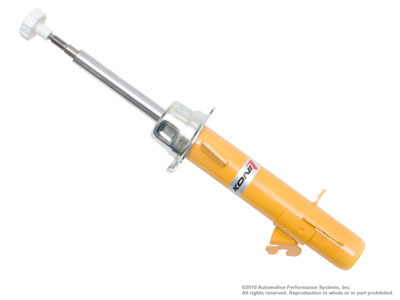 The Adjustable KONI Yellow Sport Shocks are designed with high performance in mind. It will give a dramatic improvement in road manners over an original equipment shock. The Sport shock is adjustable externally and allows the user to quickly increase the dampening forces of the shock for the occasional auto cross. The Twin Tube low pressure gas construction is superior in quality. The Sport has a slightly firmer ride quality at minimum adjustment than the stock. These shocks are a great upgrade to any MINI Cooper. These shocks have single rebound adjustment on the top of the shock shaft. Simply turn the adjustment with the knob that comes with the shock to adjust them. Turn them clockwise to make them softer, and counter clockwise to stiffen or firm them up. 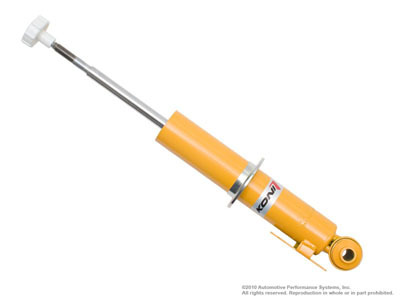 These KONI Yellow shocks can be used with stock springs or with any lowering spring offered for your MINI Cooper. All Koni shocks come with a lifetime warranty. Worth it! Improves the ride on my R53!